Hey everyone! 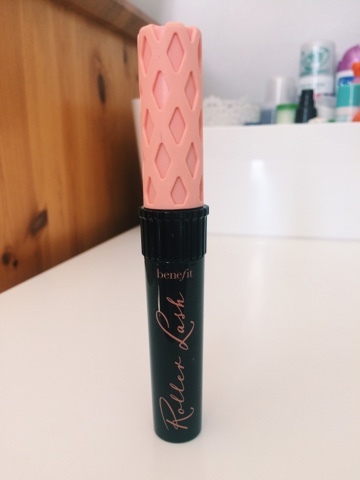 So today I have a review of the Benefit Roller Lash, I was wanting to try this for so long and I finally bought it in Duty Free when I went on holiday and it's my new favourite! It's hard for me to find a mascara because I have really sensitive eyes but this doesn't irritate them at all! It leaves my lashes looking longer, my eyes looking wider and it stays put all day. It doesn't clump at all which I know my last mascaras have all done. The unique brush has tiny bristles on one side and is curved (which I'm not usually a fan of but in this case I am) It's also really easy to remove (unlike Benefits They're Real mascara) Also, the packaging is so cute! The first day I wore this I got so many compliments on my eyes! I highly recommend this mascara! I know that this mascara isn't cheap but if you pop to a benefit counter you can ask for a sample! Thankyou for reading, leave your views on this mascara down below! I haven't ever tried it but I might! It looks really good.